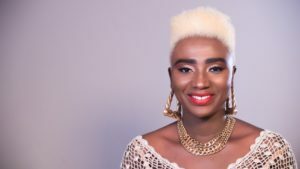 Award winning Ghanaian gospel songstress, Lady Prempeh after disappearing from the music scene for years released a single titled ‘Aseda’ on the 25th November 2018 and set to release a new one with a different look which has got the attention of music lovers. The single ‘enka ho da ’ produced by Peewezel of Cue studios has fans talking about it already . According to sources, and videos shared by Lady Prempeh on her official social media platforms recently, fans and music lovers were shocked she could dress that way, most especially her hair. 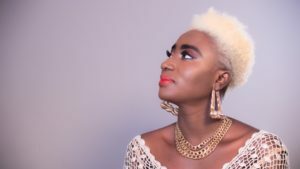 The ‘Odo yi Wohe’ hitmaker has her hair dyed white. 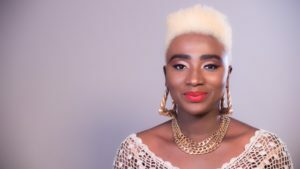 Lady Prempeh looks poised to take her place again in the ever-changing Ghanaian gospel music fraternity with a list of refreshing new songs on her yet to be released album.